Amanda has been in Newmarket for the Tattersalls October Yearling Sales and has purchased four exciting new prospects for the 2019 season. The first yearling was purchased at Book 1, a bay colt by Pour Moi out of winning dam Bella Nouf. At Book 2, Amanda purchased a chestnut colt by Lope de Vega, a colt by Dutch Art and a bay colt by first season sire Fountain of Youth. 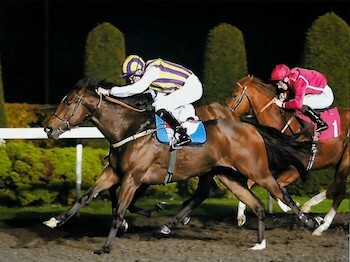 Delighted that Lightning Charlie won at Kempton last night. Ridden by Jason Watson he kept on well in the final furlong to win by 1/2 length. Congratulations to all connections involved in the Lightning Charlie Partnership. There is 15% available for sale in Lightning Charlie. He has had thirteen starts this year for the Lightning Charlie Partnership, winning twice and placed on eight occasions and will continue to contest six furlong handicaps on the all weather. 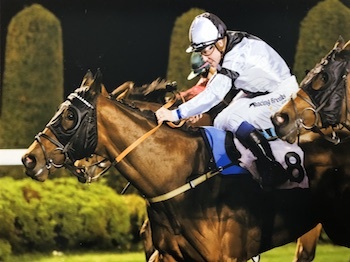 We are very pleased that Parnassian got his head in front to win for the Parnassian Partnership at Kempton on Wednesday evening. Parnassian was held up at the rear before being shaken up over two furlongs out, he was ridden over one furlong out and kept on well and led close to home to win by a neck under Jim Crowley. Congratulations to all connections involved in the Parnassian Partnership. 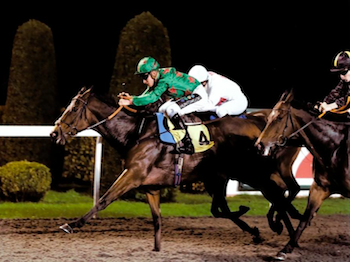 Ridden by Jim Crowley, Spirit Ridge won the ‘Brock Hill Badger Handicap’ at Leicester. He made all and was ridden over two furlongs out to stay on gamely and win well. We are delighted for his owner, Prince Khalid Abdullah. Spirit Ridge also gave Jim Crowley his 100th winner of the season! Well done to Jim from all the team at Coombelands. We are delighted that Dagian has won the ‘Champion Curo Homes Handicap’ at Bath Racecourse this afternoon. He jumped well and made all under Richard Kingscote before being ridden over two furlongs out and kept on well to win nicely with a bit in hand for his owners John Connolly and Odile Griffith.